My daughter loves homemade pancakes. I often bake her as an after-school snack or as a breakfast during the weekend, when I have more time to cook and she has more time to eat! It is actually a great breakfast idea for kids – you can sneak some fruits in their tummies already in the morning! 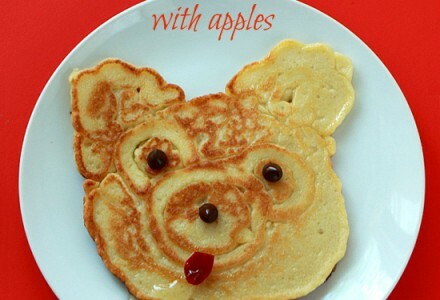 My daughter’s favorite are pancakes with apples and maple syrup. Hum, how yummy!